Whether you live in Sydney or in Melbourne, we can help with your IKEA furniture assembly, your floor installation, TV-wall mounting, home renovation and more in no time and at competitive rates! Our services, below, are designed to address an extensive range of property maintenance aspects your home or office may need. 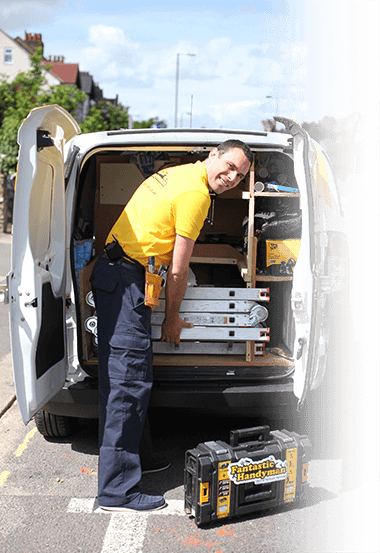 Whether you require an experienced handyperson to fix and repair, a craftsman painter to decorate your bedrooms or a multi-skilled technician to completely renovate your bathroom or kitchen, Fantastic Handyman is the company to call! We are part of Fantastic Services - a recognisable and much loved brand in Australia. Our company began operations in 2011 to become one of the most reliable home improvement and property maintenance service provider in the country. 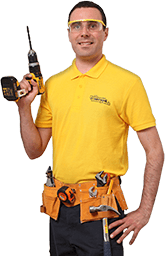 We work in partnership with fully qualified, experienced and comprehensively equipped handymen, tradesmen and technicians. They hold insurance against damages and are personally interviewed prior to joining our operations. The experts are friendly, hard-working and always ready to share their knowledge and expert opinion with you. This may sound like another cliche but how can one claim that they expect quality from others if they don't do their best to provide a quality service themselves? We, at Fantastic Handyman, guarantee the quality of our workmanship through methodical monitoring of how our service standards are followed. Our company offers professional handyman and home improvement services throughout the cities of Melbourne & Sydney.